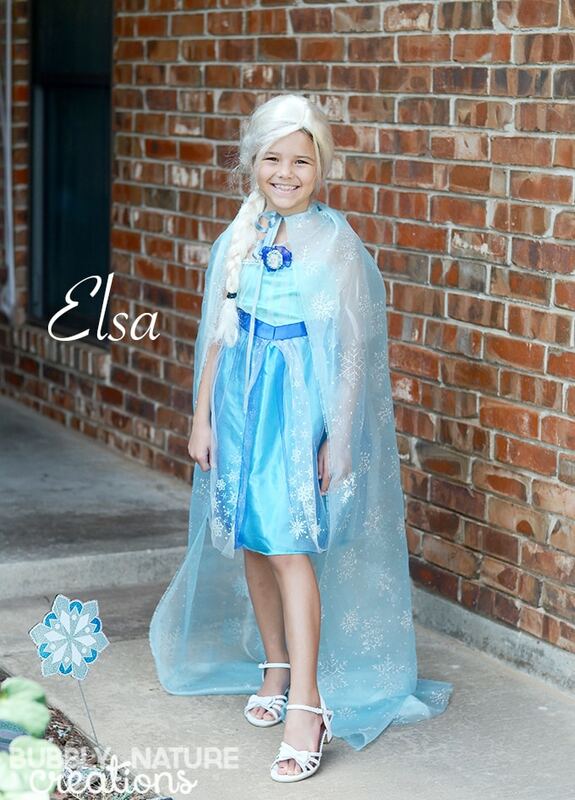 DIY Disney FROZEN No-Sew Custom Costumes! Halloween is at the end of the month and my family is going to dress up as the characters from FROZEN! We have had the Elsa and Anna costumes since the movie came out, but they were cheapie versions and I knew I needed to update them. I also created the Olaf and Sven with easy to find clothing and the best part of all is that these can be completely made without sewing! So easy! I used a standard Elsa costume for my year old. As you can see it’s about 3 sizes too small! These costumes are not made for her size, but with the DIY no-sew cape it looks like a custom costume! I love how it turned out! Get the instructions for the Elsa cape here! 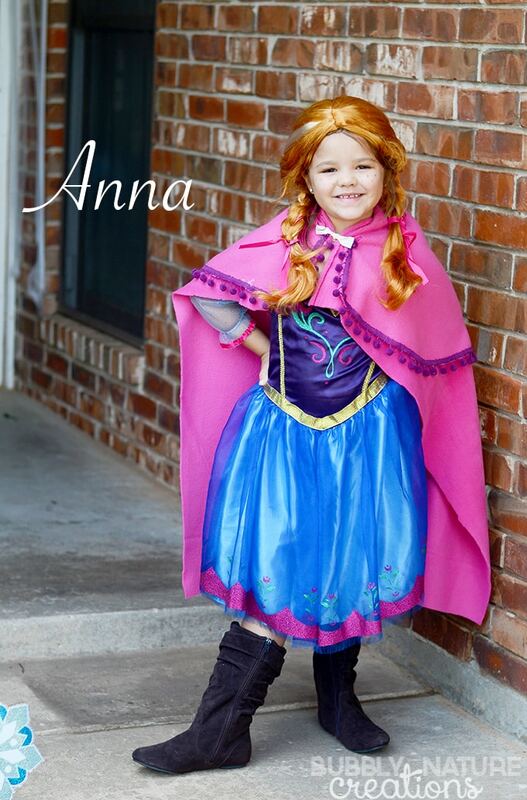 My second daughter’s Anna costume fits her pretty well, but she wanted to add a cape to hers too. I think the addition of the cape was absolutely perfect! You can find the DIY no-sew Anna Cape here! Don’t forget Olaf! Since we have three girls I wasn’t sure if we would have fights over who was what, but I didn’t say a word and my littlest girl said she would be Olaf! 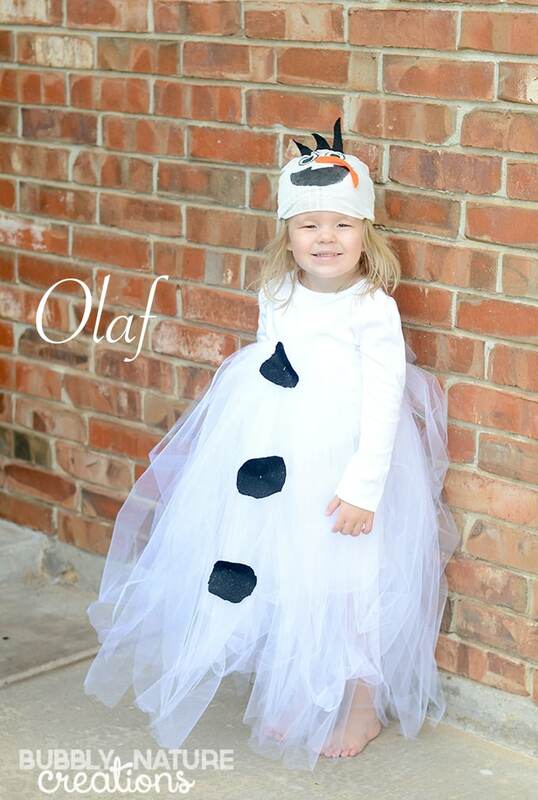 I was hoping she would say that because I had this No-Sew Tutu dress with Olaf hat in mind! Come find out how I made the No-Sew Olaf Tutu and hat here! 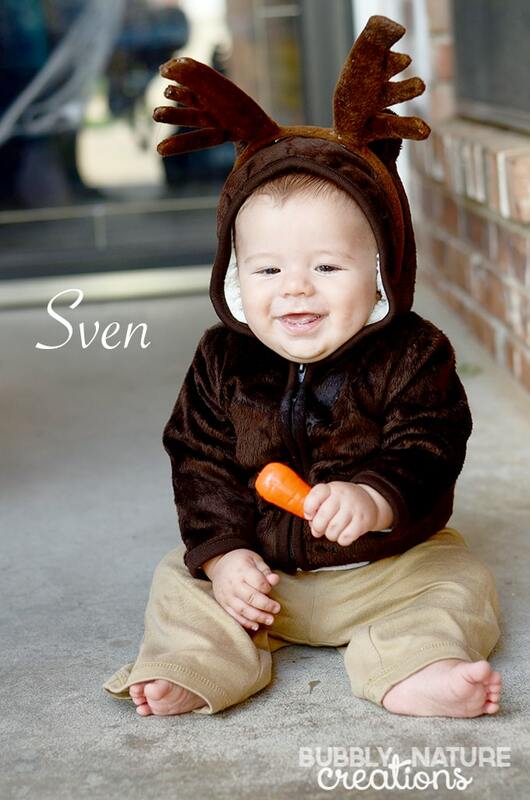 Lastly my little guy didn’t get a say this year, but I think he’s pretty happy about being Sven! Especially since he got to hold a carrot! You can see the Infant Sven tutorial here! It’s going to be such a fun FROZEN Halloween this year!!! Previous Post: « DIY Disney FROZEN Elsa No-Sew Cape with train! Hi! These are all SO cute! Just to be sure I understand, did you buy the Elsa costume and handmade the cape?